Corbet F. Bryant Jr. - Mediator based in Dallas, Texas. 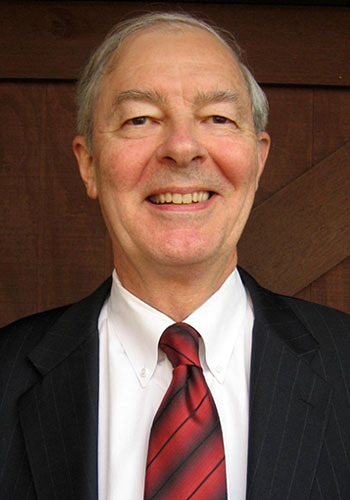 Mr. Bryant is a mediator and arbitrator for business and other civil disputes. His first limited experience as a mediator was in the 1980's during mediation weeks in Ft. Worth. In 2003, he commenced a significant practice as a mediator for NASD and NYSE arbitrations, which expanded to mediating all types of civil conflicts on a full time basis as a sole proprietor in February 2006. Mr. Bryant first served as an arbitrator for the NYSE in 1985 and thereafter the NASD. He proceeded to arbitrate for FINRA when it was formed. He now arbitrates for the American Arbitration Association, privately as a party arbitrator, and as otherwise requested. He has been a speaker on arbitrators and arbitration for the NASD, AAA, and State Bar of Texas. On May 15, 2012 Mr. Bryant rejoined the Dallas lawfirm Carrington, Coleman, Sloman & Blumenthal in an Of Counsel position and has resumed trying lawsuits and arbitrations at that firm as he had done as an associate, then as a partner, from 1971 to 2006. He also continues to act as a mediator or arbitrator in a wide range of civil cases. Mediation - Varies based on number of parites. Two-sided rate is $1,600 per side for full day. Half-day is $800 per side for two sides. For other circumstances contact me for details. No charge for preparation, travel (other than out-of-pocket expense reimbursement), or modest follow -up. Arbitration - $400 per hour split between the parties.